The Hip Hop Against Violence showcase Artist and Activist who are taking a stand to “Stop The Violence” and using Hip Hop as a tool to bridge the gap ,unified the Community, Schools, Educators through Assemblies Performances, Lectures and Workshop. 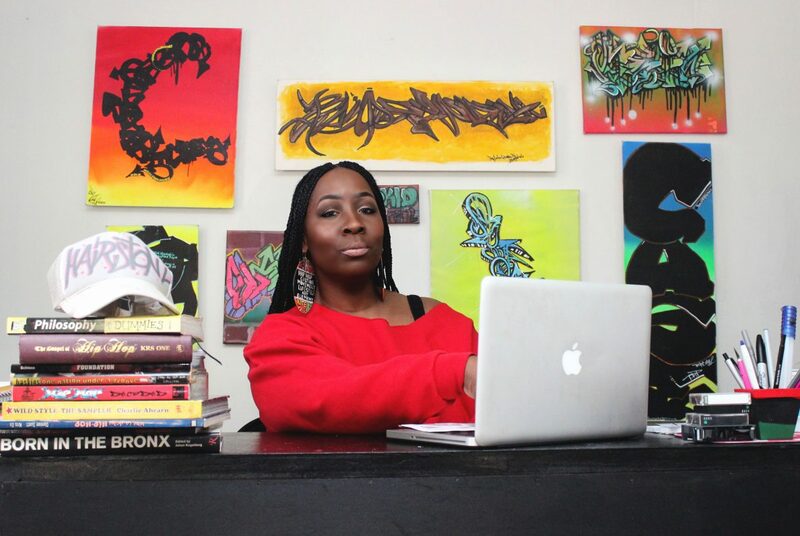 HHAV was founded in 2006 by Michele Hairston ,the first Hip Hop Educator and Historian in Harrisburg Pennsylvania. Ms. Hairston (Founder) notices the youth lack the ability to communicate through Positive Social Skills and Problem Solving. Over the years the Children and Youth behavior have become more Aggressive and Violent towards their peers. Most of the youth behavioral Problem stems from Lack of Social Skills, Poverty, Poor Educational Background, and Abused. Hip Hop was founded on intervention and an educational resource to Stoping the Violences and Unifying gangs. Hip Hop Artist and Pioneers still intervene and help many of Disadvantage Youth throughout their Community, Schools and After-School Programs. In 2008 the HHAV merge with the Jam Master Jay Foundation 4 Youth and Embracing A.R.M.S. both are 501c3 to expand the movement. The Jam Master Jay Foundation for Youth, Inc. is a non-profit, 501 (c)(3) tax-exempt organization, Co-founded by Connie Mizell-Perry and Marvin Thompson, the mother and brother of the late hip hop legend, The Jam Master Jay Foundation for Youth continues Jason “Jam Master Jay” Mizell’s legacy of creating and supporting educational and economic opportunities for youth and young adults from ages 6 – 21, and honours Mizell’s many contributions to hip hop culture and music history. Jason “Jam Master Jay” Mizell (1965 – 2002) was a legendary hip hop DJ, a gifted musicians and music producer, an entrepreneur, a community activist, a philanthropist, and the greatest DJ in music history. In the 80s, during the height of his career and during the dawn of a new era of technology, Jam Master Jay’s use of the record turntable as a musical instrument forever established the DJ’s role as an integral member of the band. A self-taught DJ, Jam Master Jay’s creative genius as an artist, turntablist, and producer set standards of innovation and excellence in the music industry that remain unmatched, inspiring millions to become DJs and music producers. During his illustrious career, Jam Master Jay and his ground-breaking, Grammy Award-winning group RUN-DMC Saturday Night Live became hip hop pioneers, saturating popular culture while staying connected to urban America. RUN-DMC was the first hip-hop group to perform on NBC’s Saturday Night Live; the first to grace the cover of Rolling Stone magazine; the only hip hop act to perform at LIVE AID; and the first to receive a product endorsement deal (Adidas). Embracing ARMS, Inc. is a non profit organization established in 2005 by Dr, Danielle Hairston-Green who shared a passion for community development, social change, youth leadership and parent empowerment. Embracing Arms mission is to embrace the community by sharing knowledge, empowering our families, and implementing programs that can have a long lasting impact of the lives of our participants. Our vision is to empower families to take charge of their health, education and safety within the community in which they live. Previous Previous post: Hip Hop Quiz of the Day? Which Artist Sample this song?